A hot summer Christmas Day is just around the corner in the Australian seaside town of River’s End. Beachside BBQs and sumptuous dinners are on the menu. But Martha Blake is like a dog with a bone, determined to solve the last of the cottage mysteries. She and great-niece Christie begin a secret investigation. Meanwhile, Thomas is busy with his own clues and enlists the help of his reluctant grandson, Martin. At Palmerston House, loving new couple Elizabeth and Angus face their greatest obstacle, throwing their happy future into doubt. With everyone working at cross-purposes, who will find themselves in the middle, cast decades back into memories of a terrible mistake? Is love enough this time, as the beloved residents of River’s End deal with the fallout of the old mystery? Who, or what, will bring them all together in time for Christmas? 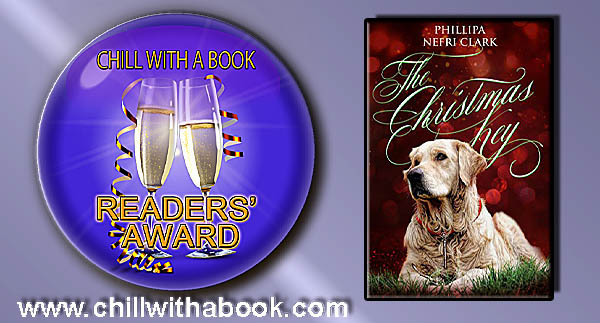 The Christmas Key is a heartwarming novella rounding off the Christie Ryan Romantic Mystery series with the last of the secrets revealed, and delightful Christmas magic to touch the favourite residents of River's End. Read as a standalone, or start the series with The Stationmaster’s Cottage.